Don’t feel sad say goodbye to dull, dry skin, wrinkles, and say hello to a more youthful beauty appearance! The most significant signs of aging appear on the face. This leads to dull, dry skin and the face generally lacks the vibrancy of youthful appearance. Sometimes the change in appearance is simply as a result of not properly caring for the skin. This leads to accumulation of dead skin, loosening of the skin beauty. Facials are very effective and relaxing method of refreshing your skin, providing continuous skin repair, restoration, and smoothness at all over time. This Ayurvedic facial will be tone and hydrate your skin as exfoliates deeply penetrate the surface to encourage optimal collagen production, the softening of lines and a rise in the moisture levels. 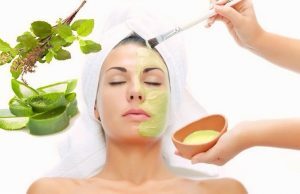 Facial is a completely relaxing and cleansing skin treatment with an analysis of steaming, cleaning of the pores, face, treatment mask, moisturizer, and recommendations for home care, leaving the skin clean, smooth, refreshed and glowing with extractions. This treatment clears the skin fast without striping the skin and reduces the break out while bringing healing to the skin. This Ayurvedic facial helps to relax the muscles of face which can slow the onset of wrinkles on the skin. Puffiness reduction, sagging in the face and skin cell renewal has more benefits from these advanced natural facial technique. To set up your facial appointment, call us today. We look forward to pampering you.